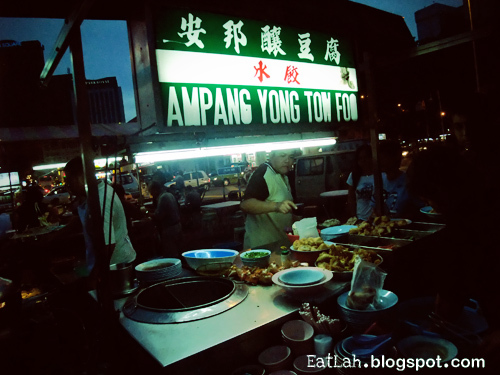 Ampang Yong Tow Foo @ Jalan Imbi, KL | where and what to eat lah? 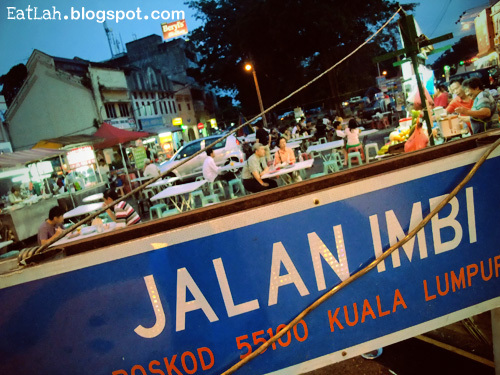 I have been a regular customer of Jalan Imbi's Ampang Yong Tow Foo for many years. 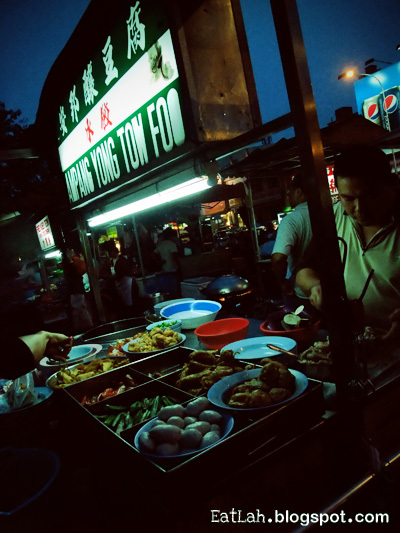 Ideally located in the heart of Jalan Imbi (at the side of Honda showroom), this stretch of hawker stalls only opens at night for dinner until late night. This assembly of hawker stalls is difficult to miss as it is always bustling with people every night. 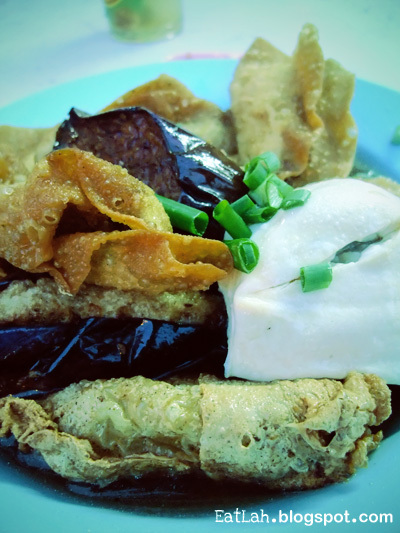 The varieties are pretty standard ranging from stuffed white beancurd, stuffed chili, stuffed bittergourd, stuffed lady's finger, stuffed aubergines, stuffed tau pok (fried beancurd skin), fried sui kow, etc. Select your own freshly stuffed pieces of homemade yong tau foo and they are usually served in soups. For the size of each yong tau foo and the amount of fish paste used, it is still reasonably priced at RM 0.80 per piece (used to be RM 0.70!). 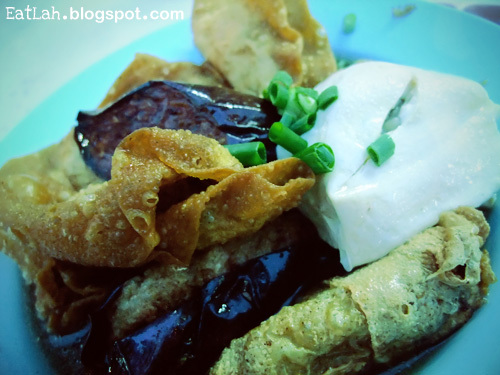 Their fried sui kow (dumplings) is the best-selling and one of my favorites among the many yong tau foo stalls around. Freshly fried till perfect crispy texture with bouncy tasty generous fish paste filling in it. Dip the freshly fried sui kow into the soup allowing it to absorb into it and accompanied it with sauces (sweet and chili sauce) - perfect! I got to admit they don't wrap the neatest looking sui kow but it is hard to resist after the first bite. My standard selection of yong tau foo here usually consists of 70% fried sui kow and 30% for the other assortments. The rest of it are just decently good (nothing still beats the bestest softest smoothest stuffed white beancurd from Kuantan which I had many years back, almost as smooth as tau fu fah! ), nothing special except for the decent RM 0.80 price per piece. Verdict: Cheap, good and convenient! Their fried sui kow is a must-have!